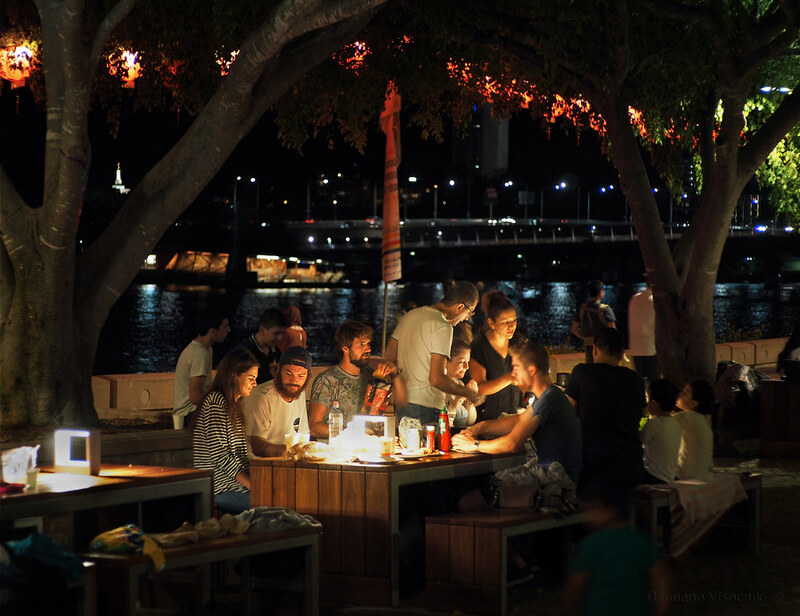 With a warm climate year-round and low precipitation Brisbane offers the perfect weather for eating out, under the stars. 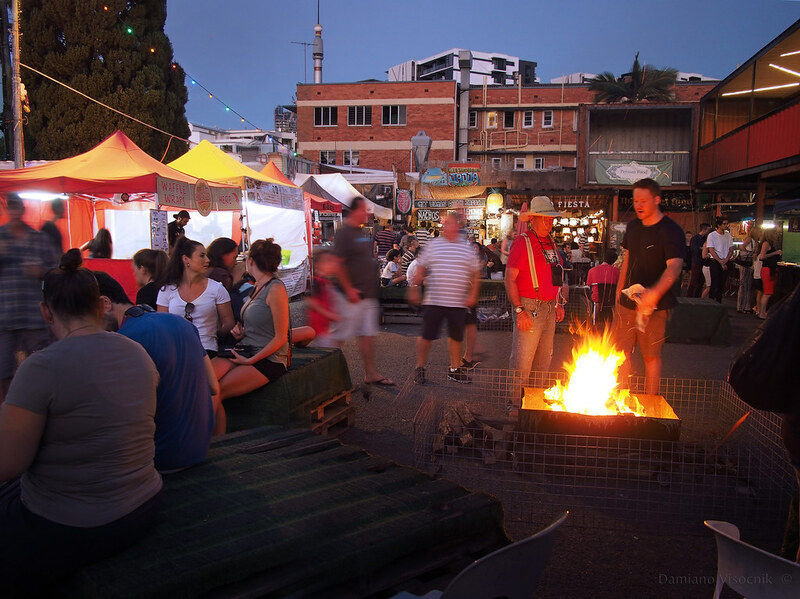 I particularly enjoy the markets and urban parks South of the river where dining is a much more organic and low -profile experience than in the city itself. The people that frequent these places are very approachable and conversations flow easily. 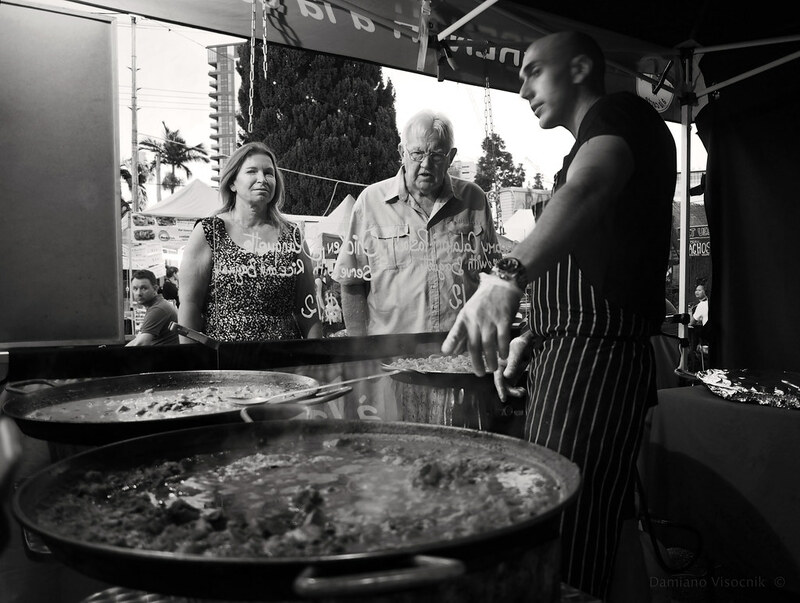 The food can be viewed and the offerings are extremely varied, from all continents. And ultimately I see a much closer connection between people where they can mingle freely and not just stuck behind a crammed noisy restaurant table unable to talk due to the noise. After living in USA for almost a decade (MA, VA, UT and CA) I now really appreciate how these open spaces where one can socialize and enjoy a simpler life contribute to a more genuine quality life.